Kaifala's experiences as a child prisoner and refugee are told through a series of flashbacks as he endeavors to attain a visa to attend college in America. His memories of the death and destruction that he and his family witnessed while attempting to avoid the violence rampant in impoverished West Africa are written with amazing clarity by a man on a mission to chart a way forward for himself and the others who would follow in his steps. 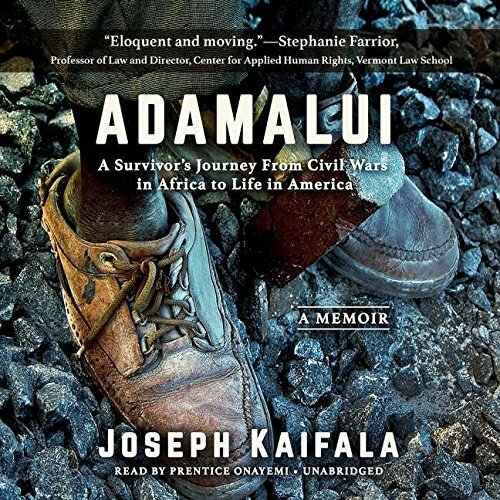 Kaifala's hopes for a brighter future for his home country -- a country to which he still returns to assist through charitable causes -- are crystalized throughout this prescient, timely, and beautifully-written memoir.